AISL - Association of International Shipping Lines, Inc.
We shall provide our members, consisting of the international shipping lines operating in the Philippines. With effective representation with external entities particularly the government and quasi-government organizations, along with exporters, importers, service providers, and other industry partners. We shall achieve this purpose by consistently keeping open communication links and establishing solid ties with these entities through proactive participation in industry related programs and projects that will also strengthen our image as the leading authority in the international shipping business. We shall strive for the growth and progress of our members by equipping them with valuable industry information utilizing updated technology, and delivering to them cost–effective services in line with internationally accepted best practices. Through these efforts, we expect our stakeholders to always regard us as their premier trusted partner and, consequently, they, including our employees and members, and the country, will benefit from a progressive and efficient international shipping environment. We envision an association that represents the collective and united voice of the international shipping lines operating in the Philippines. Because of our combined years of experience in our profession, our expertise and opinion will be sought after, and we shall be known as the leading authority in the international shipping industry. Our credibility is without question, our integrity above scrutiny. We shall have the respect and the highest regard of our various stakeholders. We will play crucial role in the formulation of government and business policies related to our industry. We see an association whose effective leadership, dynamic programs and prudent management of resources will assure members that we have their best interests in mind. We envision a stream of both new and old members inspired and actively engaged in more robust participation in our worthy activities. And, in partnership with them, we see ourselves growing, gaining beneficial ground & earning the solid reputation of a trusted industry association. The Association of International Shipping Lines Inc.
AISL was founded and incorporated on June 06, 1963. Widely recognized as the leading voice of international container shipping industry in the Philippines, the Association has a present membership of 36 global container liners calling Philippine ports. For more than 50 years, its influence in the formulation of national policies affecting international shipping operations grew in strength as the volume of trade between the Philippines and other countries increased significantly. The continuous stream of innovative and progressive concepts on global shipping drastically reshaped the transport seascape and carrying with it a myriad of complex trading practices that governments of countries need to assimilate to remain competitive. AISL’s active participation in congressional hearings and consultation meetings called by the executive branch of government puts into perspective these evolutions in trade. As a spokesman of the container liner industry, AISL presents before the Philippine policymakers its advocacy of introducing reforms in shipping and port operations in the country to enhance efficiency in cargo movement that meets international standards. In keeping the best interest of the membership in mind, the Association has staunchly abided by the core values of integrity, proactiveness and adaptability to change. As a body, AISL measures its effectiveness on the quality of response accorded to its proposals and recommendations by the government and the degree of prudence and anticipation exercised in addressing issues impacting on its membership. Its ability to provide the most ample representation to its members however respects the limitation that AISL cannot involve itself on any business discussions involving pricing and rates since these are matters that should be left to the commercial decision of the individual member. EVP and GM of Mstar Ship Agencies, Inc., agents for MBf Carpenters Shipping. President and General Manager of OOCL (Philippines) Inc. and OOCL Logistics Philippines. Chairman of CMA CGM Philippines, Inc. and Uni-Ship, Inc.
President and at the same time member of the Board of “K” Line Philippines. Country Director of MOL Philippines, Inc. and Former Chairman of Far East Freight Conference. Executive Vice President and Chief Operating Officer of TMS Ship Agencies, Inc.
Philippine Owner's Representative of RCL Feeders Pte. Ltd since 1994 to present. General Manager of AISL and consultant for Customs Affairs and International Trade by various well-known multinational companies. The Bureau of Customs (BOC) has certified the Laguna Gateway Inland Container Terminal, Inc. (LGICT), the dry port container-handling facility of International Container Terminal Services, Inc. (ICTSI) in Calamba City, Laguna, as an authorized Off-Dock Customs Facility (OCF). AQUARIUS CONTAINER YARD (ACY), owned by businessman Rodolfo C. Reta, will appeal the reopening of its designated examination area (DEA) in Davao City to Customs Commissioner Isidro S. Lapeña as the Bureau of Customs (BoC)-Davao head, Erastus Sandino B. Austria, insists on transferring the DEA’s x-ray machine. MANILA, Philippines — International shipping lines yesterday hailed what they described as the “collaborative and complementing” efforts of various government agencies and the private sector to iron out problems at Manila ports, particularly decongestion. Advance Container Lines, Pte., Ltd.
China Navigation Company Pte., Ltd.
Kyowa Line Shipping Co., Ltd.
MBF Carpenters Shipping Line Ltd. Regional Container Lines Pte. Ltd.
Sinokor Merchant Marine Co., Ltd.
Patrick Ronas is the EVP and GM of Mstar Ship Agencies, Inc., agents for MBf Carpenters Shipping. 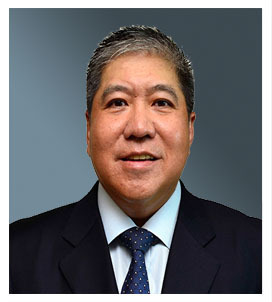 He is concurrently the Managing Director of Celadon Quadrant Services, Inc and Projects Director, Container Bridge Philippines, Inc. Prior to his appointment to his present position, Mr. Ronas was the EVP and GM of Soriamont Steamship Agencies. He was a member of the AISL Board for several years holding different capacities as Vice-President and Treasurer. Mr. Ronas then took over as AISL President from 2009 to 2011. It was during his incumbency as AISL President when serious efforts to establish closer interaction with the executive and legislative branches of government were made. He laid the groundwork for a more constructive AISL-government collaboration. 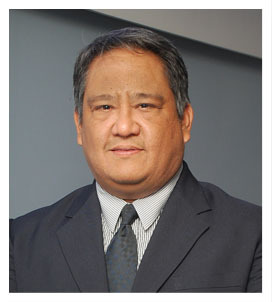 Enrico Rossano P. Sanchez is currently the president and General Manager of OOCL (Philippines) Inc. and OOCL Logistics Philippines. He has held position since 2013 and also from 2000 to 2008. The years in between took him to Indonesia to head both OOCL Indonesia and OOCL Logistics Indonesia. Prior to the two last postings, Mr. Sanchez spent almost ten years in OOCL Headquarters in Hong Kong where the initiated market studies and developed new services catering to new and anticipated demands. He collaborated with the different regions, backroom and support departments, in designing, planning implementing and monitoring the services of the Intra Asia trade. Capt. Jang is Chairman of CMA CGM Philippines, Inc. He also chairs Uni-Ship, Inc, a company which has grown through the years under his watch and has now made its mark in the shipping industry. Capt. Jang is the former President of the Korean Chamber of Commerce in the Philippines. He was also President of the Korean Association in the Philippines. His deep involvement in educational and humanitarian undertakings have always been among his noble passions. Capt. 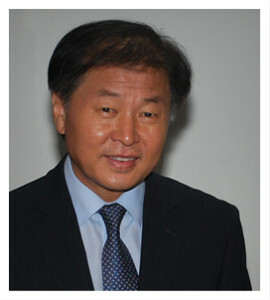 Jang presently chairs the Korean International School Philippines, Inc. He is also Chairman of Sorok Uni Foundation, Inc. which he helped found on May 07, 1992 to rehabilitate cured Filipino leprosy victims and assist them in erasing the stigma against leprosy and bring them back as useful members of society. 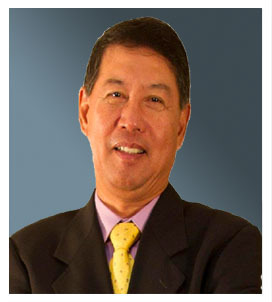 Arnie Tuazon is currently the President and at the same time member of the Board of “K” Line Philippines. Prior to assuming the top post of the company, he was its VP/GM from 2009-2015. In the field of Logistics, Arnie Tuazon is presently the Treasurer and Board member of “K” Line Logistics Philippines, a sister company. Mr. Tuazon used to be the Treasurer and Trustee of Rayomar Outreach Foundation, Inc., a private non-profit organization which aims to uplift the quality of less fortunate individuals in Philippine society. Jose Juan Lacson is the Country Director of MOL Philippines, Inc. He was previously Sales for Nedlloyd Lines before assuming the role of Trade Manager of Magsaysay Agencies as agent for Mitsui O.S.K. Lines. In 2002, he assumed the role of Philippine Sales Manager of MOL Philippines, Inc. He has also extensive logistics experience having worked with Pac-Atlantic Lines, Inc. in 1991. 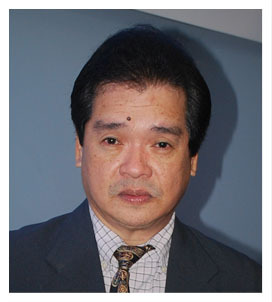 Jose Juan Lacson chaired the Far East Freight Conference from 2000-2008. He was Convenor of the Transpacific Stabilization Agreement (TSA) and Westbound (TSA) from 2003-2004. He was again Convenor of TSA from 2006-2007. He was also Chairman of the Intra Asia Discussion Agreement (IADA) from 2009-2010. 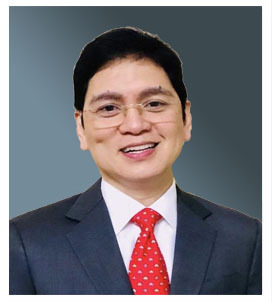 Jose Juan Lacson took over the helm of MOL Philippines, Inc. in 2012 backed by an impressive leadership potential. He was an Asian Institute of Management awardee for Superior Performance in the Basic Management program. He was conferred a special recognition by MOL Philippines for his leadership skill and outstanding performance in exceeding company objectives. 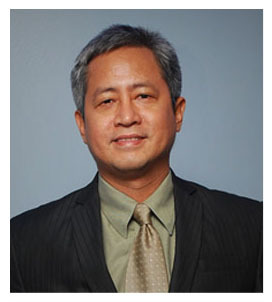 Joselito B. Ilagan, is presently the Executive Vice President and Chief Operating Officer of TMS Ship Agencies, Inc. as agents of Advance Container Line and Pacific International Lines. From 1996 to 2004, he was the Vice President and General Manager (Seafreight Division) of Geologistics, Inc. before assuming the role of Vice President and General Manager (Marine and Terminal Operations) of TMS Ship Agencies from 2004 to 2011. Mr. Ilagan is concurrently the Chairman of the AISL Port Operations Committee, a position he has been heading fof a number of years. Prior to that, he was the Vice President and General Manager (Marine and Terminal Operators) of the same company from 2004-2011. Mr. Ilagan has acquired extensive experience in logistics, being the Vice President and General Manager (Seafreight Division) of Geologistics from 1996-2004. In 1980, Mr. Ilagan was Operations Manager of Transmar Agencies (as agents of Kline) eventually as Liner Manager – North America Service. He then moved to Filipino-Soviet Shipping Co. as Operations Manager from 1996 to 2004. 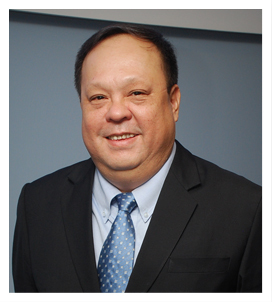 Jesus B. Sedano is the Philippine Owner's Representative of RCL Feeders Pte. Ltd since 1994 to present. Prior to joining RCL, he worked at Jardine Transport Services Inc. holding various key positions before he assumed the position of General Manager of Jardine Freight Services from 1990 to 1994. Jesus is an active member of Rotary International and he is the President elect of Rotary Forbes Park for the Year 2018 - 2019. Maximino Cruz worked as Collector of Customs at the Manila International Container Port, South Harbor and Port of Batangas during his long stint in government. He was a recipient of several exemplary service awards given by the Bureau of Customs and, by the Investment Promotions Unit of the Board of Investments. He received several commendations from the different Commissioners of Customs for his initiatives in introducing and putting in place key reforms in Customs port operations procedures and practices, particularly at the Manila International Container Port and South Harbour. In 1994, he became the first Philippine Customs official to be accepted as full member of the Multimodal Transport Association of the U.N Conference on Trade and Development (UNCTAD). Maximino Cruz is a lawyer by profession and a licensed Customs Broker. He was Board topnotcher in the Customs Brokers Licensure Examination given by the Professional Regulations Commission in 1982 and was appointed Examiner for the Customs Brokers Examination by the President of the Philippines in 2002. Prior to his appointment as GM of AISL, Mr. Cruz was engaged as consultant for Customs Affairs and International Trade by various well-known multinational companies. Advance Container Lines (ACL), headquatered in Singapore, and established since 1st January 1995 is engaged in the container feeder business offering shipping links to the main line operators to and from ports in the Indian Sub Continent (India and Bangladesh) and South East Asia (Indonesia, Malaysia, Thailand, Cambodia, Myanmar, Vietnam and Philippines). Headed by a professional management team, ACL operates ships with capacities ranging from 200 to 1200 Teus serving over 30 destinations in more than 10 countries in the region. ACL is committed to provide reliable schedule integrity and good connectivity with MLO sailings through deployment of an efficient fleet and backed by quality customer service at competitive rates. The Company continues to seek growth opportunities, market coverage as well as enhancing services to the satisfaction of our customers. APL provides customers around the world with container transportation services through a network combining high-quality intermodal operations with state-of-the-art information technology. APL is a wholly owned subsidiary of Singapore-based Neptune Orient Lines, a global transportation and logistics company engaged in shipping and related businesses. We help customers grow their business – whether that is venturing into new territories, exploring new business opportunities, or growing in already developed markets. With more than 160 years’ experience, APL has the knowledge and the expertise to help you negotiate the increasingly complex and ever-changing global marketplace. Our partnership with some of the world’s best-known brands and success in fostering trade in emerging markets has helped defined global trade, setting new benchmarks in service innovation and excellence in every market we serve. ANL is the shipping company that specialises in moving your product from almost any place in the world to just about anywhere else. All backed by our award-winning customer service, modern and efficient IT systems and competitive “can do” attitude. ANL is a truly global carrier, offering shipping services to all worldwide destinations, with extensive coverage throughout all of Asia, Europe, North America, Mediterranean, Australia and New Zealand, Papua New Guinea, Indian Subcontinent and Middle East/Gulf. ANL ship Headquartered in Melbourne Australia and with regional offices and agents around the globe, ANL is part of the CMA CGM Group, the third largest container shipping line in the world. This powerhouse of international shipping is led by its founder Jacques R. Saade and the Group operates on more than 170 shipping routes with over 400 vessels, calling 400 ports in 150 countries, and employs 17,200 staff in 650 agencies and offices around the world. In 2011 CMA CGM transported over 10 million TEU’s and had an annual turnover of US$14.9 billion. Like our parent company, ANL’s main objective is to offer customers all over the world a proactive, innovative service which reconciles quality and high performance with protection of the environment. ANL’s history goes back to 1956 when it was established by the Australian Government to operate shipping services around the Australian coast. Over time other routes were added and ANL entered the international trades to and from Australia. Over many decades ANL became the backbone of maritime activity in Australia taking goods around the coast or around the world. The China Navigation Company (CNCo) is the wholly owned, deep-sea shipowning and operating arm of the Swire group. CNCo was founded in 1872 in Shanghai and started its operations trading on China’s Yangtze river. Since then the company has expanded globally while its primary operational focus remains in the Asia-Pacific region. The Company operates a global network of multi-purpose liner services for the transportation of containerised, breakbulk, heavylift and project cargoes in addition to providing drybulk and bulk logistics services. Eversince CK Line was established, CK Line has provided continer and bulk liner services through diverse service lines- including Korea/Japan, Korea/China, Korea/China/Japan, and Intra-Asia. CK Line initiated with Korea-Japan bulk liner service, with our first M/V CHUN KYUNG. Since then, we have constantly enlarged our service areas and currently operate 17 vessels. Over more than 50 years of our clients’ ceaseless trust, support and accumulated experience, CK LINE has grown to be one of the reliable shipping companies in Korea. To meet our clients’ diverse demands, we established integrated logistics network and fortified total distribution system. As a result, we, CK LINE, became the integrated Logistics Company certified by the Ministry of Land, Infrastracture and Transport, and the Ministry of Oceans and Fisheries of Republic of Korea in November 2006. For meeting customers’ needs, we promise we will ceaselessly put effort to upgrade our servuces. We will devote oure efforts and continously invest in our resources to create the value of our supporters. By providing diversified routes and service satisfaction, CK Line intends to grow as the most reliable carrier in the market. 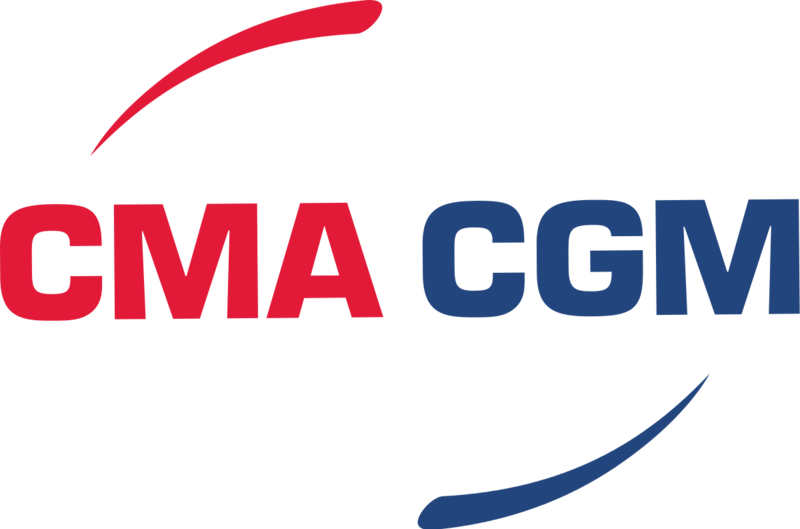 The CMA CGM Group is the world’s third-largest maritime container shipping company and number one in France. From its base in Marseille, CMA CGM is present in more than 150 countries through its network of over 650 agencies, with more than 18,000 employees worldwide (4,700 in France). With a young and diversified fleet of 414 vessels (84 company owned), the CMA CGM Group serves 400 of the world’s 521 commercial ports. Through its 170 shipping lines the company operates on every one of the world’s seas. Its global presence and powerful ships like the CMA CGM JULES VERNE enable the CMA CGM Group to transport a volume of 10.6 million TEUs (Twenty Foot Equivalent Unit) each year. The CMA CGM Group posted revenues of 15.9 billion USD in 2012 (a 7% increase), proving that “family business” companies are efficient and make it possible for the French industry to rise to the upper echelons of the world industry. There are 2,400 staff members working at the Group’s head office, the CMA CGM Tower in Marseille. It is a building worthy of a major player in the French economy. The Group has 6,300 French customers and CMA CGM is the largest private employer in Marseille, the city where the company was founded in 1978. China Ocean Shipping (Group) Company (COSCO), one of the major multinational enterprises in the world, is China’s largest and the world’s leading Group specializing in global shipping, modern logistics and ship building and repairing, ranking the 327th in Fortune Global 500. 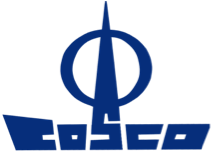 Established on April 27th, 1961, COSCO owns and controls over 800 modern merchant vessels with a total tonnage of 56 million DWTs and an annual carrying capacity of 400 million tons. COSCO’s shipping lines cover over 1,600 ports in more than 160 countries and regions worldwide, and its fleet size ranks the first in China and the second in the world. COSCO is positioned the first in China and the fifth in the world by container fleet size, and is also the first in the world by dry bulk fleet. It takes a lead in the world for comprehensive strengths of professional bulk, multiple-purpose vessel and special vessel fleet. Oil tanker fleet of COSCO is one of the super tanker fleets in the world. COSCO owns and operates 32 terminals worldwide, with 157 berths offered. Statistics released by Drewry in July 2009 show that throughput of container terminals of COSCO Pacific affiliated to COSCO continues to rank among top 5 places in the world. COSCO owns rich logistics facilities and resources. It operates more than 4,000 logistics vehicles, including large cargo transport vehicle with 289 axes and the largest carrying capacity of 8,000 tons, 2.49 million square meters of storage ground and 2.97 million square meters of warehouse. It provides high value-added services for customers in household, chemical, power and financing sectors. Besides, it also provides logistics services for many key projects home and abroad, such as Qinghai-Tibet Railway, Tianjin Airbus and Indian power station, setting many world records. Evergreen Line is the unified common trade name for the four shipping companies of the Evergreen Group. 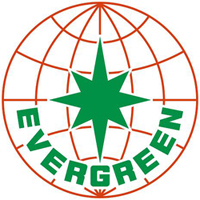 The brand ‘Evergreen Line’ is used for international marketing purposes for Evergreen Marine Corp. (Taiwan) Ltd., Italia Marittima S.p.A., Evergreen Marine (UK) Ltd. and Evergreen Marine (Hong Kong) Ltd. and was established May 1,2007 in response to the request and expectations of global customers. A fifth ocean carrier Evergreen Marine (Singapore) Pte Ltd. has also signed the joint service agreement, effective May 1, 2009. Evergreen Line operates the fourth largest container fleet in the world, with over 180 ships by capacity of approximately 650,000 TEU. Evergreen Line will maintain all of the services currently operated and develop new trades to meet worldwide customer demands. 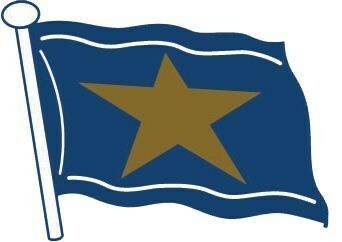 Gold Star Line LTD offers a sense of stability in an industry that never ceases to evolve. We understand our customers’ needs and are prepared for the shifts that naturally occur in this vast economy. Our team of professionals is ready to provide the best possible services that will help our customers meet their needs and demands. With a new year ahead of us, our goals are to continue to provide excellent customer support, to expand our services within inter-Asia, and develop a relationship with the vast growing continent of Africa. We look forward to consistently providing our existing clients with an exemplary level of support and we would like to welcome on board all new and potential customers. Our company’s job is to serve and support our clientele through constantly ensuring professionalism, competence and a high level of skill. Our staff possess the know-how and the means to serve you; the client. No job or account is ever too big or too small for our company and we always welcome our client’s feedback. We are always open to suggestions and we are more than willing to accommodate the needs and desires of our customers. Throughout and beyond this year we want to wish our customers and their businesses prosperity and success. Ben Line Agencies is your shipping services partner of choice in Asia. Through a network of offices covering the region we provide first class liner and port agency services to many of the best known names in the maritime sector, together with an extensive range of related services. With over 150 years of experience in the shipping industry in Asia, Ben Line Agencies has established a network of over 120 offices across 16 countries and has built a solid reputation based on integrity, consistency and competence. For 165 years the services we provide have been a hallmark for successful international cooperation between many people and cultures. For a company operating worldwide, tolerance, liberal-mindedness and treating each other with respect are values we take for granted. The Group aims to be among the industry’s innovation and quality leaders for reliability, customer orientation, efficiency, safety and environmental protection. To guarantee satisfaction for our clients, we are continually improving our processes as well as our cutting edge IT systems. Hapag-Lloyd possesses superbly trained and highly motivated staff. The Group traditionally attaches great importance to continuing staff education and training. Hapag-Lloyd is aware that worldwide transport of goods invariably has repercussions on the environment. The shipping line requires that these be reduced as far as possible while also conserving resources. Therefore the environment and sustainability are central to Hapag-Lloyd’s corporate philosophy. Thanks to our modern fleet and the high priority accorded environmental protection in everyday business, Hapag-Lloyd is among the pioneers in the industry. Companies invariably bear a responsibility to society generally. Hapag-Lloyd is committed to its Corporate Social Responsibility. Moreover, in 1997 the Group vested its charitable activities in Hapag-Lloyd Foundation that supports cultural, scientific and social projects. Heung-A Shipping Co., Ltd. celebrated its 52th anniversary since it was established in 1961. Beginning with a conventional Korea-Japan liner service, the company has expanded into one of the most extensive intra-Asia feeder networks and developed extensive operation expertise. With this experience and infrastruct ure, Heung-A delivers cargo on behalf of valued customers quickly and safely. Various Services Starting with four ships, Heung-A has developed a container liner service fleet of 30 vessels and a chemical tanker fleet of 20 vessels. Our company provides various services delivering a wide range of cargo throughout Asia. In addition, Heung-A provides a wide variety of storage services including CY/CFS and warehousing (both sea and air) backed by a state-of-the-art IT system. Asia’s Biggest Network Heung-A has developed a wide and extensive network in Asia with branches and local subsidiaries in Japan, China, Singapore, Indonesia, Vietnam, Bangkok, Malaysia and India in addition to strong relationships with more than 20 agencies throughout Asia. By combining this overseas network with a well-developed IT service, Heung-A provides prompt and accurate shipping services for customers convenience. Certified Integrated Logistics Company Heung-A is a Certified Integrated Logistics Company officially approved by the Korean government. The company offers shipping services for container and chemical freight, as well as various logistics solutions. Heung-A also operates car ferry services between Korea and China, a high-tech logistics center, land trucking and railroad transportation businesses. Hyundai Merchant Marine Philippines Co. Inc.
HMM is an integrated logistics company, operating around 160 state-of-the-art vessels. HMM worldwide global service networks, Diverse logistics facilities, leading IT shipping related systems, a professional highly trained staff, and continual effort to provide premiere transportation services. Beginning with three VLCCs in 1976, HMM has strengthened its competitiveness to advance new services such as bulk carrier, tramper, container carrier, LNG carrier and special product carrier. As a result, HMM has a stable business structure that can withstand sector fluctuations by operating diversified businesses. HMM has formed a global business network with four international head-quarters, 28 subsidiaries, 76 branches, six overseas offices and 10 liaison offices. It is highly regarded as one of the world’s top integrated-logistics companies with its targeted market prospects, efficient organization, top personnel, and advanced internet systems. HMM transports nationally strategic materials such as crude oil, LNG, iron ore/coal and diverse special products as well as import/export goods. Earnings are five trillion Korean won per year, clearly playing a major role in Korea as a vital economic artery. HMM invests to continuously expand vessel fleet, acquires container terminals in the worldwide primary location and inland logistics facilities, and develops premiere customer oriented IT system. As a result of these endeavors, HMM will become a word top integrated logistics company giving “Hope to shareholders, satisfaction to customers and pride to employees”. 8th Floor, Country Space Bldg. Buendia Avenue, Makati, Metro Mla. In April 2011, the “K” Line Group adopted ” “K” LINE Vision 100 – A New Challenge ” in order to respond to structural changes in markets and the future expansion of demand. However, the containership and dry bulk markets have deteriorated markedly, and the Great East Japan Earthquake, the high value of the yen, and rising fuel oil prices resulted in the Company reporting a net loss for fiscal year 2011. In response to these developments, in April 2012, the “K” Line Group adopted ” “K” LINE Vision 100 : Bridge to the Future ” as a newly reformed medium-term management plan with three priority tasks: returning to profitability in fiscal year 2012, establishing stable earnings structures, and strengthening the Company’s financial standing. In following the Five Fundamental Tasks that remain ongoing issues in the new medium-term management plan, the entire “K” Line Group is committed to working together on the three priority tasks to achieve “synergy for all and sustainable growth”- the main theme of ” “K” LINE Vision 100 ” and will strive to the utmost to restore profitability and resume the payment of dividends in 2012. Since it’s establishment in 1954, KMTC is the leading Korean marine transportation company. With more than a half century of full liner service logistics knowledge, KMTC is continuously providing top quality services and is steadily building it’s vessel fleets to enlarge it’s service boundries to fully satisfy customer’s needs. KMTC’s top priority is to maintain punctual schedules. On top of that, in order to meet customer’s complicated needs, integrated marine computer service management system was developed and utilized throughout the whole network. Undoubtly, these lines of efforts were fully recognized in 2006 by the ‘Fairplay’,Great Britain’s reputated marine press, when it surveyed world liners’ punctuality in 23 different West/East, North/South routes consisting of 3,300 motor vessels. With unprecedented 91% of punctuality schedule maintenance, KMTC, received first place award. We tightly maintain vessel fleets’ operation conditions to it’s best performance, and all efforts are thrown to achieve most safe journeys. These efforts were crucial in obtaining two straight years of “No Casulties or Disasters at Work” despite the newly enforced government standards. KMTC has offices in Busan, Incheon, Ulsan in Korea, more than 30 ports in Japan from northern most Hokkaido to southern most Kyushu, from northern most Dalian to southern most Hong Kong, KMTC has logistics networks of more than 16 ports in China. There are more than 22 global networks in Southeast Asia including Singapore, Indonesia, Malaysia, Thailand. More than 9 ports global networks are set up in the Northwest Asia and Middle East. Also in order to carry our efficient container handling and vessel operations, we have acquired Ulsan Container Terminal in port of Ulsan in 1999. In the year 2012, 840,000㎡ Busan New Port 2-3 terminal is already opened to further enhance KMTC’s efficient cargo operations. In the year 2006, KMTC has established optimal logistics network to optimize logistics services and in the process “Certified Integrated Logistics Company” certification was awarded. With up-to-date logistics system setup, global logistics network and half a century of accumulated logistics know how KMTC plans to further strengthen integrated logistics service capacity. Kyowa Shipping, have mapped out principles upon which our management and employees act invariably in conducting our business activities and the guidelines to attain these goals. With these principles in mind, the individual employees have determined to offer a wide range of contributions to our society. Mariana Express Line, Phils., Inc. Founded in 1997, Mariana Express Lines (“MELL”) is a container liner operator headquartered in Singapore. Focusing on niche routes in the Asia-Pacific region, MELL strives to provide shippers and consignees with services that have regular sailing schedules and quick transit times. MELL is committed to offering customers a schedule integrity that differentiates herself from the competition. Though MELL started with only two vessels plying the route of Hong Kong, Guam, Saipan and Taiwan, the Company has grown her network extensively over the years. Using Hong Kong and Kaoshiung as hubs, MELL currently carries containers between China, Southeast Asia, Japan, Australia and islands in the Pacific. MELL has also established the Company’s own dedicated shipping agencies in key ports of call to support her vessel operations and to provide ancillary logistics support. Mariana Shipping, a wholly-owned subsidiary of MELL, manages these agencies. By providing fully-integrated logistics and containerized transportation services, MELL is well respected in the industry for her customer-centric, personalised approach and is dedicated to serving the local communities. Carpenters Shipping is wholly owned by its parent company MBf Holdings Bhd, a publicly listed Malaysian conglomerate. The business activities of MBf Holdings span financial services, retail, trading, plantations, industry and property divisions. MBf operates extensive business activities in the South Pacific, and the Line provides shipping services to a wide range of in-house cargo owners, as well as an expanding portfolio of contract and open market clients. The Line is committed to supporting and developing trade in the region through its competitive and dynamic service capabilities – as one of the few truly independent operators in the region, we have the capability to rapidly adapt to the ever changing marketplace. Carpenters Shipping currently operates two deep-sea vessels and offers a comprehensive direct port coverage, coupled with a wide range of transhipment services. We offer shipping services for dry and reefer containers, and operate a fleet of special equipment to facilitate breakbulk and project cargoes. In addition to our international services, we hold a coastal licence in Papua New Guinea, and offer shipping services within Papua New Guinea for both international and domestic cargoes. Mercantile Ocean Maritime Co.(Filipinas), Inc.
MCC Transport – Your Intra Asia Partner MCC Transport is a regional specialist handling all Intra–Asia containerized cargo for the A.P. Moller – Maersk Group in addition to providing feeder services for a wide range of regional and global shipping lines. Having operated in the market for more than 20 years, MCC Transport represents a group of service oriented and knowledgeable people providing customers with a wide-range direct port coverage and a large corridor portfolio in the Intra Asian market. 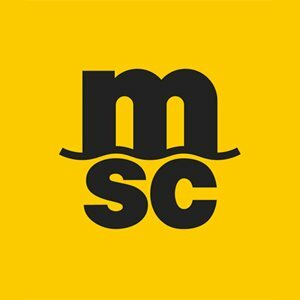 Your Intra-Asia Specialist A trade specialist in the Intra-Asia market for decades, MCC Transport has the experience and expertise to help you steer your business through the ever-changing and rapidly growing market in this region. This means we understand the requirements and dynamics of the Intra-Asian trade. We are flexible in our operations but at the same time maintain a strong focus on schedule reliability. Southern Star Agencia Maritima Inc. 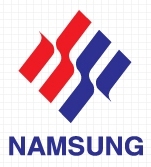 Founded in 1953 as the first private ocean going shipping carrier in Korea, Namsung has been providing various shipping related services such as container liner service and break bulk service in Korea/Japan, Korea/China, Korea/Vietnam, Korea/Thailand and China/Japan routes. Our commitment and devotion during the past sixty years have made it possible to grow up into one of the most reputable shipping companies in Korea. Based on our know-how acquired over the past half century and the trusting relationships we have developed with our clients, we have always provided our valuable customers with the most reliable service and care. Currently, Namsung operates 17 owned vessels and an array of chartered ones, with highly skilled staff totaling 300 people. Looking forward to a prosperous future in Korean shipping industry, all employees are committed to offering the highest level of customer satisfaction through the efficient and sound management of the company. Orient Overseas Container Line (OOCL) is a wholly-owned subsidiary of Orient Overseas (International) Limited (OOIL), a public company (0316) listed on the Hong Kong Stock Exchange. OOCL is one of the world’s largest integrated international container transportation, logistics and terminal companies. As one of Hong Kong’s most recognized global brands, OOCL provides customers with fully-integrated logistics and containerized transportation services, with a network that encompasses Asia, Europe, North America and Australasia. OOCL is well respected in the industry with a reputation for providing customer-focused solutions, a quality-through-excellence approach and continual innovation. OOCL pioneered transportation coverage of China and is an industry leader in information technology. Pacific International Lines (PIL) incorporated in 1967 has developed from a coastal ship-owner/operator in Singapore to become one of the largest ship-owners in Southeast Asia. Today, it is ranked15th amongst the top containership operators in the world, offering container liner services and multi-purpose services at over 500 ports/locations in 100 countries worldwide. PIL has diversified into logistics related activities such as supply chain management, consolidation/distribution facilities, warehousing, multi-modal services, container depot/terminal operations as well as having interest in ship-agencies worldwide, container manufacturing/repairs, ship recycling, marine services and real estate. Regional Container Lines (RCL) started as a Common Feeder Operator, operating its first feeder container ship in 1979 between Bangkok and Singapore. 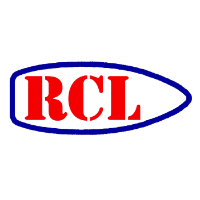 In 1988, RCL was listed on the Stock Exchange of Thailand, and has since achieved satisfactory performance and financial returns to shareholders. Presently, RCL owns and operates 40 container vessels covering more than 60 destinations in Asia, Australasia and the Middle East. 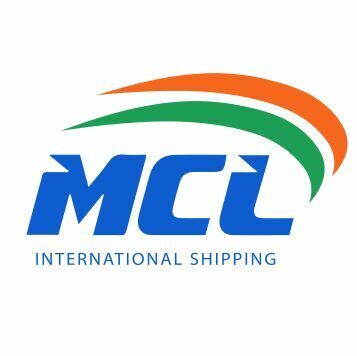 RCL will increasingly expand its feeder services and container liner business in Asia through the provision of high quality container shipping services with reliable fix day sailings, fast transit, the deployment of modern and high specification container ships and customer service information technology. RCL fleet size ranges from 500 TEUs to 2,732 TEUs. Strict manning and maintenance standards for the entire RCL fleet are provided by experienced technical team in RCL Shipmanagement, a subsidiary of RCL. The ship management company and the entire RCL owned fleet have achieved ISM certification since 1998, well ahead of the mandatory 2002 ISM deadline. Sinokor Merchant Marine Co., Ltd. inaugurated the first container liner service between two countries three years before Korea and China established diplomatic relations in 1989. The container liner services Sinokor launched played a major role in enhancing human resources and economic cooperation, and in the normalization of relations between both countries. Sinotrans Limited is one of the largest logistics companies in China. It is based in Beijing, People’s Republic of China. Sinotrans Limited was incorporated in 2002 and listed on the Hong Kong Stock Exchange in 2003 with Sinotrans Group as its controlling shareholder. 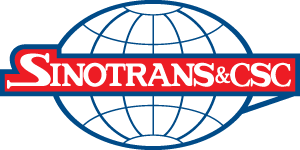 The Group injected into Sinotrans Ltd. its core businesses, superior assets and professional staff in China’s fast-growing coastal and other strategic regions, namely Hong Kong, Guangdong, Fujian, Shanghai, Zhejiang, Jiangsu, Hubei, Lianyungang, Chongqing, Jiangxi, Anhui, Shandong, Tianjin and Liaoning. The Company also provides support services of storage and terminal services, trucking and marine transportation services. Up to end 2009, Sinotrans Limited had a staff of 20,937 employees, a total asset of 21.9 billion RMB, and a net asset of 9.4 billion RMB. SITC Container Lines Phils., Inc.
SITC International Holdings Co., Ltd. is a leading shipping logistics company in intra-Asia area. Its business scope covers container liner shipping, ship management, ship brokering, international freight forwarding, LCL, project logistics, logistics delivery, customs broker, warehousing, container depot, port, shipping agency, bulk cargo,etc. At present, Shipping Group and Logistics Group are the two core divisions under SITC Intl. Holdings. SITC Shipping Group covers container liner shipping, ship owner business, ship management, ship brokers, container leasing and other related business. Until June 30, 2013, the company operates 59 vessels, including 30 self-owned vessels. The existing 48 services routes covers 10 countries and regions, 45 major ports in area of China, Japan, Korea and Southeast Asia. According to Alphaliner statistics, counted by capacity, SITC ranks No. 25in the global container shipping enterprises as of June 30, 2013. The container transportation volume in 2012 exceeded 1.77 million TEU(excluding None-charge containers). SITC Logistics Group covers freight forwarding, customs broker, LCL, project logistics, logistics delivery, shipping agency, bulk cargo, warehousing, container depot, port, etc. We have a logistics park with the business of warehousing and depot in Qingdao, Shanghai of PRC and Vietnam Haiphong& Ho Chi Minh. Meanwhile, SITC Logistics has maintained a long-term cooperative relationship with global famous enterprises such as Damco Logistics, Itochu Logistics, Hanjin, Singamas, Tsingtao Beer etc. Wan Hai Lines Philippines, Inc.
Wan Hai’s shipping routes include Taiwan, Kanton and Kansai areas of Japan, Korea, Mainland China, Hong Kong, Philippines, Thailand, Malaysia, Indonesia, Singapore, Vietnam, Burma, Cambodia, India, Pakistan, Sri Lanka, and the Middle East. Wan Hai provides fully-container vessel shipping with regular route among these areas. With complete network service, Wan Hai has its subsidiaries and agents all over Asia’s major cities and ports. In 2004, Wan Hai Line has 66 fullly-container vessels in operation, with capacity over 90,000 TEU. In addition to the exclusive terminal in West 17 of Keelung, Wan Hai also leased No.34, No.35, No.63, No.64 in Taichung and Kaohsiung, which makes Wan Hai the only carrier in Taiwan with exclusive terminals in the northern, middle and southern parts of the island. So far, 15 routes of the present 20 routes in operation provide direct calling to 43 major international commercial ports in Asia, which is the most comprehensive and intensive service network available in Asia. Wan Hai constantly explores new routes and calling ports, builds vessels, and replaces old containers and terminal equipment in order to maintain operational performance and to reinforce the competitive advantages in the market. Also, Wan Hai has made strategic alliance with renowned carriers to distribute operational risks, reduce operational costs and reinforce service network. In the advent of the 21 centry, Wan Hai Line is working on corporate reengineering on a full scale and reinforcing its training & development of talents. We also continue to facilitate organizational restructuring, workflow streamlining, cost reduction and the development and integration of strategic information system. These will allow healthy organizational development to fast respond to market changes; in the meantime, we can reach the goal to strengthen operational capability and continuous growth. Mariners and traders of a bygone era braved unknown seas in search of the tradewinds, which when caught in their sails, would ensure a safe and prosperous journery. That fortuitous wind still blows today…. Westwind Shipping Corporation was established in 1981 by the Baliwag Group of Shipping Companies. In 1984, Westwind formalized its participation in the Japan-Philippines Liner Trade and Westwind Shipping Corporation became known as Westwind Line. In that same year, Westwind Line applied and was accepted as a regular member of the Japan-Philippines Freight Conference (JPFC). This Filipino Corporation, fired with a vision of excellence in service and aided greatly by its Japanese General Agents, Shuwa Kaiun Kaisha, Ltd., grew steadily into a substantial Philippine Flag Liner Company plying the Japan-Philippines trade route. 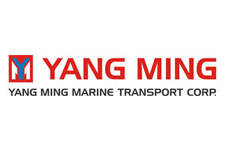 Yang Ming Marine Transport Corporation (Yang Ming) was established on December 28, 1972. At the end of October 2013, Yang Ming operates a fleet of 95 vessels with a 5.05-million-D.W.T / operating capacity 410 thousand TEUS, of which container ships are the mains service force. Ever since its founding, Yang Ming has adopted and practiced this management philosophy: “Teamwork, Innovation, Honesty, and Pragmatism.” In the meantime, getting breakthroughs and solving problems by concerted efforts, in line with the motto of “Punctual, Speedy, Reliable and Economical” service, have been the keys to our outstanding performance and efficiency. Yang Ming is one of the world’s leading, experienced container transportation companies, thanks to incessant rejuvenation, its fleet is comparably young. Maersk Line is a division of the A.P. Moller – Maersk Group, by which we share the same values and business principles. Strong Environmental Performance Through industry leading environmental performance and a focus on increasing the efficiency of our vessel operations Maersk Line will seek to maintain our CO2 advantage in the industry. Priority issues include energy efficiency of charter vessels, innovative ship design, and innovation in container design and innovation. A Responsible Business Partner Maersk Line will exercise due care to protect our name and our values. Priority issues include responsible procurement, respect for human and labour rights, and protection of the marine environment. The Preferred Choice for Customers Maersk Line will work to enable transparency and choice for our customers, supporting their efforts to create more sustainable supply chains and partnering on leadership initiatives to create joint value for sustainable profitable growth. The AISL is considered as the spokesman of the container liner trade industry in coordinating with government agencies, port operators, domestic carriers, tug operators and other related trades and businesses on matters pertaining to the existing international practices in maritime transportation and other activities affecting the shipping industry. It participates actively In the formulation of policies that impact on the operation of foreign vessels in the Philippines. © 2017 | Association of International Shipping Lines Inc.